Is Your Pool In Need Of An Upgrade? You have to consider everything your pool needs, and it’s important to know what you should be seeking out. After a perfect summer, the pool season is starting to come to a close. It’s always a sad time, but it’s also a time to assess your situation. While you enjoyed the pool throughout the summer days, the winter has it covered up. So, this period before the warm weather ends is a nice time to see if you need a renovation. It’s an easy way to set yourself up for the next summer and beyond, that way you don’t have to worry about any hassle over the break. You have to consider everything your pool needs, and it’s important to know what you should be seeking out. After constant everyday use for the last three to four months, your equipment may not be completely functional by the next summer season. Sure, it may be working now, but these products can age quickly. If this is the case, invest in new pool equipment. 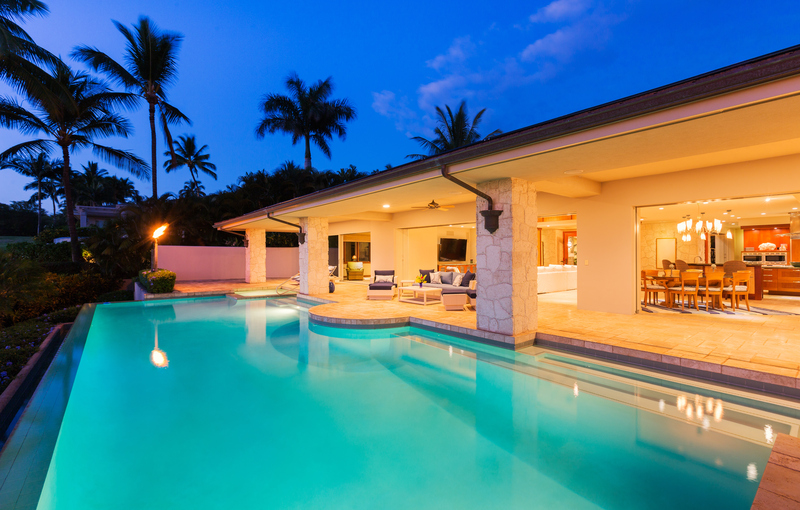 With pool technology advancing each year, some of the products on the market will actually help you save in other areas (combining uses, repairs, etc.). The pool surface is a critical part. By the end of the summer, you may not be as consistent with your chemical mixing and overall maintenance. The water may start to turn green due to constant thunderstorms and lack of upkeep. We get it, it’s a long season. You can’t turn away from it completely though, because the pool tile may be impacted. If you’re not pleased with how the surface looks, you may want to call for a renovator to have a look. It never hurts to have a consultation to see if your pool could use an upgrade. While the pool itself could use an upgrade, the surrounding area deserves attention as well, considering it affects the presentation of your pool. Renovating your hardscaping or landscaping can make the area shine. These elements contribute just as much to the pool experience compared to the pool itself. At Paradise Pools, we are committed to your happiness so you can be sure that we will get the job done to your satisfaction. Our talented team will go above and beyond to ensure that we create a new pool that you adore and truly suits the needs of your family and property. We specialize in providing expert craftsmanship and dedicated customer service, so you will always be taken care of when you work with Paradise Pools. Follow us on Facebook, Twitter, Pinterest, Houzz, and Google+. This entry was posted on Friday, September 15th, 2017 at 5:07 pm. Both comments and pings are currently closed.